As a family-owned, family-operated restaurant, Mariner's has reflected the Nichols family's attention to detail since 1983. A member of our family is always on site to assure that our restaurant maintains the highest level of quality, outstanding service and value for your dollar. 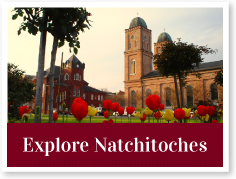 Join us overlooking Sibley Lake for the most memorable meal of your Natchitoches visit. 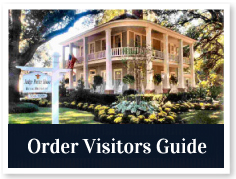 The Landing Restaurant is the epitome of a Louisiana reataurant. They specialize in Louisiana cuisine with an uptown feel. Live Jazz is played every Wednesday night and their Champagne Brunch on Sunday is a local favorite! The Landing is based on the belief that the customers' needs are of the utmost importance. The entire team is committed to meeting those needs. As a result, a high percentage of our business is from repeat customers and referrals.